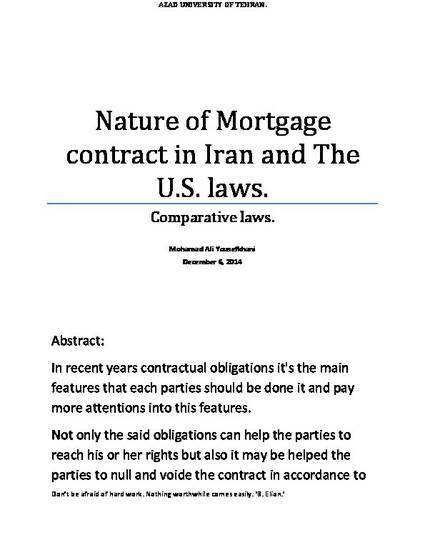 In recent years the contract needs a suitable enforcement that help the parties to get his or her goals due to abuser which is interested in postponing and don't care his or her obligation ,therefore in this article we want to consider Mortgage contract elements. Don't be afraid of hard work. nothing worthwhile comes easily. B. Elion.